A boy with two big jade-green eyes has a small straight nose and a small cherry mouth, whose face has conspicuous blusher on each cheek. He has short golden haircut. Almost his back side of head is covered by a white hat whose brim is blue. What’s so special is that there is a blue bowknot in front of the hat, like a butterfly with its blue wings resting. The boy’s skin is as white as his clothes, which has a lace collar as we usually see on girl’s clothes. The boy’s hands are hid in his sleeves, holding something just as red paper flowers and blue petals. The background of this painting is in grey which shows out the boy clearly. Besides, the boy makes people feel funny by his smiling, expression and gesture. Furthermore, a male character in French pantomime, whose origins are in the late seventeenth century Italian troupe of players performing in Paris and which usually dressed in white with a whitened face, is called pierrot. That’s to say, A Boy as Pierrot. 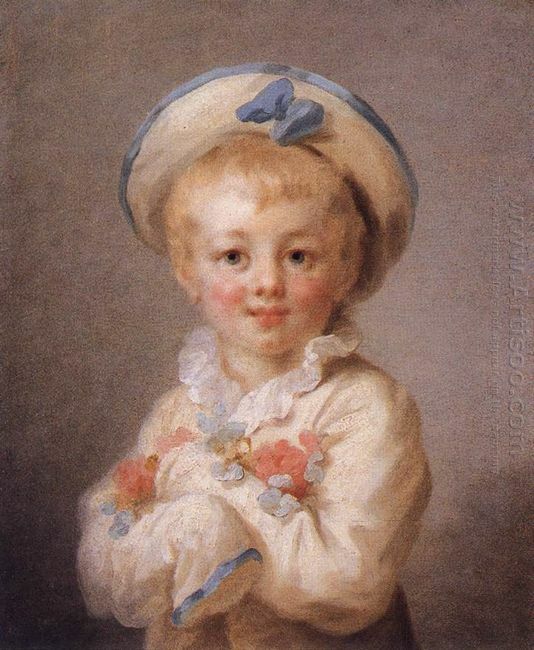 A Boy as Pierrot is a great piece painted by one of most brilliant and original French painters of the late eighteenth century, Jean-Honoré Fragonard, whose late Rococo manner was distinguished by remarkable facility, exuberance and hedonism. During his studying in the Royal Academy of Arts, his painting style had being changed with his study in Barocci, Pietro da Cortona, Soimena, Tiepolo and Feti. For example, he was said to be a genre painting, landscape painting, portraits, and historical painting painter. His genre paintings are the most popular works which convey an atmosphere of intimacy and veiled eroticism. 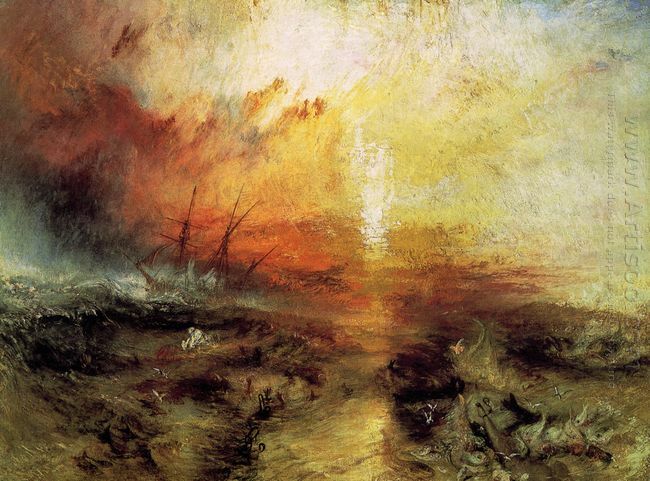 A boy with two big jade-green eyes has a small straight nose and a small cherry mouth, whose ..
William Turner (also known as Joseph William Turner) has always been known for the incredible oil paintings that .. 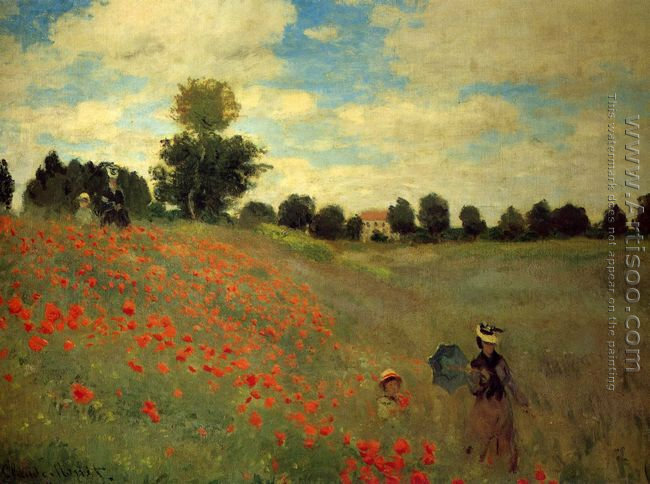 The Summer Poppy Field This is a plein air painting, which is painted by French .. 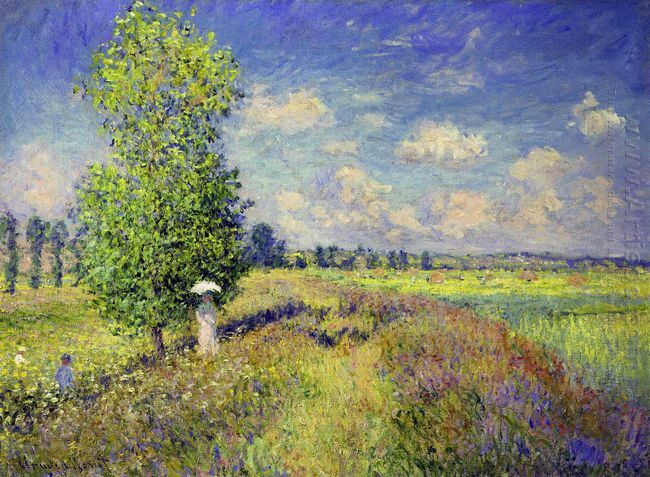 The red, red flowers, the green, green trees, the blue blue sky, the white, white clouds, what a ..
A Wheatfield On A Summer's Afternoon This painting was created by a Russian-born French artist Marc .. This entry was posted in Rococo and tagged Jean-Honoré Fragonard, Portrait, Rococo. Bookmark the permalink.